Corsair is a well-known manufacturer of PC components, including DRAM, chassis, power supplies, USB storage, fans, SSDs, gaming peripherals (keyboards, mice, headsets) and cooling, among others. 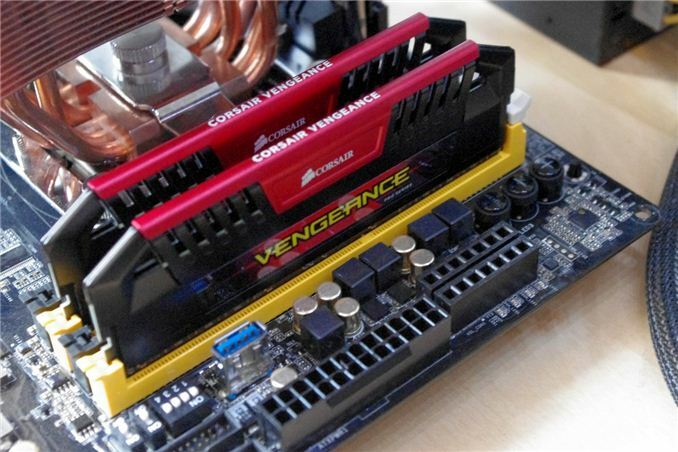 Today we are looking at some of their mid-to-high range memory from their Vengeance Pro range, designed to cater for extreme system builders with DDR3-2400 CAS 10 speeds. This also happens to be the memory we have been using for Haswell motherboard reviews. In the case of memory, as reliability rates now are extremely high for anyone not overclocking, there are several main battlegrounds: warranty, price and aesthetics. Beauty is supposedly in the eye of the beholder – some users care about the look of the memory fits into their system, whereas others will enjoy a low price to spend another $20 on something else in the system. Corsair’s Vengeance Pro Series comes in several colors (red, blue, silver, gold), and this particular red kit is not available on Newegg (the 2400 C11 kit does, at $220), but does feature on Corsair’s website for $230. 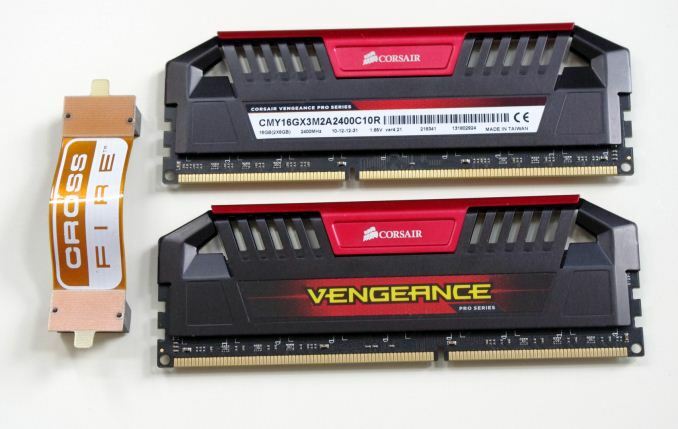 Unfortunately for Corsair, Newegg lists a 2x8 GB 2400 C10 kit for $150 (reduced from $170) for sale, alongside a $280 2400 C10 Dominator Platinum kit, and there are plenty of 2400 C11 kits around the $150 mark, suggesting that an $80 bump in pricing for the CMY16GX3M2A2400C10R is actually a large stretch in a system build for what are small (if any) gains at most. In terms of our testing, Corsair supplied us with a pair of kits, and thus we tested 2x8 GB and 4x8 GB configurations. Note that this is not a recommended scenario – memory kits, even listed as the same timings and modules, are not guaranteed to work with each other. When you add density, timings have to be slackened to compensate, which is not taken account for when buying two kits. Only a full on 4x8 GB kit is guaranteed to work in this context – there are plenty of posts on the ROG forums with issues relating to users attempting to put two memory kits together. Our CPU is a good clocker and the modules we received had some headroom such that we did not experience any issues, but your mileage may vary. 2400 C10 does hit a nice sweet spot in our testing, and our kit even overclocked to 2400 C9, representing a lift in Performance Index from 240 to 267 at the 2400 MHz boundary (2600 C10 was not possible though). But for the price, Corsair are resting on their laurels with the name of the brand being what carries them through, especially with system builders. 2400 C10 already comes out high on the Performance Index scale at 240, although based on the subtimings here we can see that the tRFC and tRC are actually very loose, compared to the Patriot (2x4GB) and ADATA (2x8GB C11) kits we have tested. Typically tRFC is a timing that helps with benchmark results and needs to be low to be the best, but at 10 we are not going to set any records here. Interestingly enough the ASRock Z87 OC Formula gives the XMP primary timings as 10-13-13 rather than the 10-12-12 listed on the modules. In a trend that I like, memory manufacturers are making their kits easy to get in to. Similar to one of our previous memory reviews, Corsair places their modules in an easy to open plastic clamshell, which in turn comes in a card-like packaging which shows the module details through a transparent window. There is a sizable addition in z-height to the modules, which will impact some large coolers including my TRUE copper when mounted for airflow bottom-to-top. Hello! 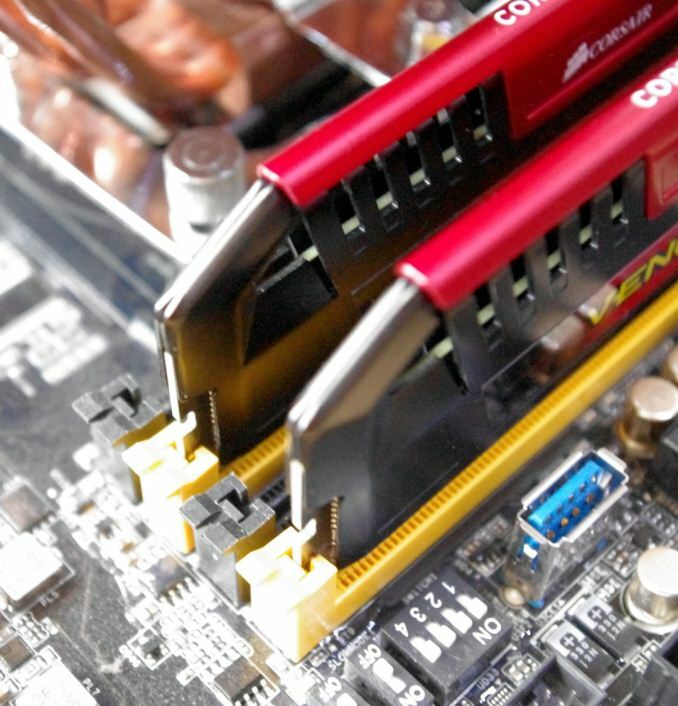 This is another article stating 1866/C9 being the minimum for Haswell and to avoid 1600 or less. Even going so far as to say, "Any kit 1600 MHz or less is usually bad news." However, this ignores 1600/C8 modules. The 1600/C8 score a 200 on your Performance Index at stock timings. This is at your recommended 200 level. There are several kits of 2x4 GB 1600/C8 on Newegg that have memory profiles of 8-8-8-24 at 1.5v. I'll repeat, these 1600 8-8-8-24 1.5v kits score 200 on the Performance Index and hit the current memory sweet spot for most people of 2x4 GB. This scores within around 3% of the 1866/C9 kits which have a Performance score of 207. The reason I bring this up is that the 1600 8-8-8-24 kits are often less expensive than the 1866/C9 kits and offer essentially all of the performance. Here is an example of a great value for a 2x4 GB kit. This item has 500+ positive reviews and normally sells out when it goes on sale (as it is now). Oh dear god. Not this again. It is time for a thorough debunking, based on the data presented, because clearly it is not going to stop. There is no distinguishable, patternable difference between 8GB and 16GB memory kits. In some cases, there is a swing one way or the other, but nothing is consistent. I think that most enthusiasts would recommend, if asked by a friend on a midrange budget, a 1600 8gb kit. The lowest price for that at C9 timings on newegg is $55. Not the $150 - 250 being bandied about for these moronic kits. 13.27% running Explicit Finite Solver (3d only, the 2d result was 3.3%) on an IGP. Anyone running this is not using an IGP to do it, I suspect. 12.91% on USB3 copy. The page for those results states they are pulled from the Motherboard reviews, so there's no indication this speed isn't motherboard specific rather than memory specific (as some AsRock boards have USB boost which allegedly seems to work). One result on this same test had a 34.55% lead, but it had the same lead (or larger) on "faster" kits than the 1600 kit, so I am treating this as an outlier. The vast majority of the results are just not in the stupid kit's favour. 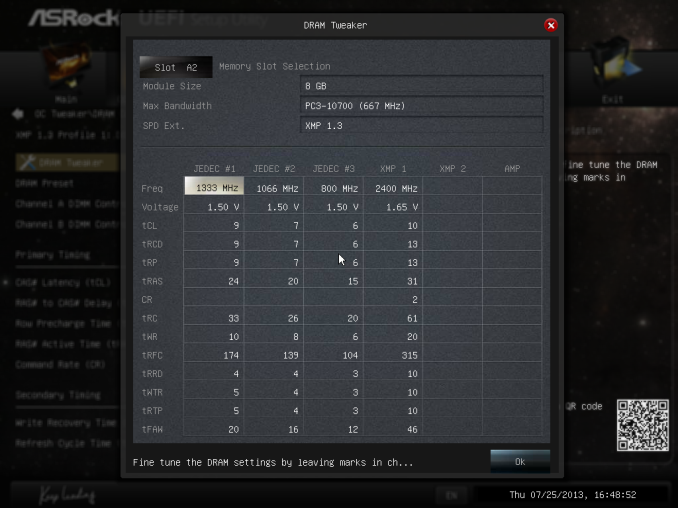 Graph 13	12.91%	47.33	53.44	CPU - From MOBO reviews so no indication if same testbed was used or if MOBO had USB speed boost. The "Weird triple unbalanced" above refers to the idea that there is some lunatic out there running a 4 generation old Dual GPU card in crossfire with a different, single GPU from the same generation but a different spec. This is referred to as "esoteric" but I think it's safe to assume that the only person doing this is someone who has video cards sitting in a pile next to a testbed because they're a video card reviewer.